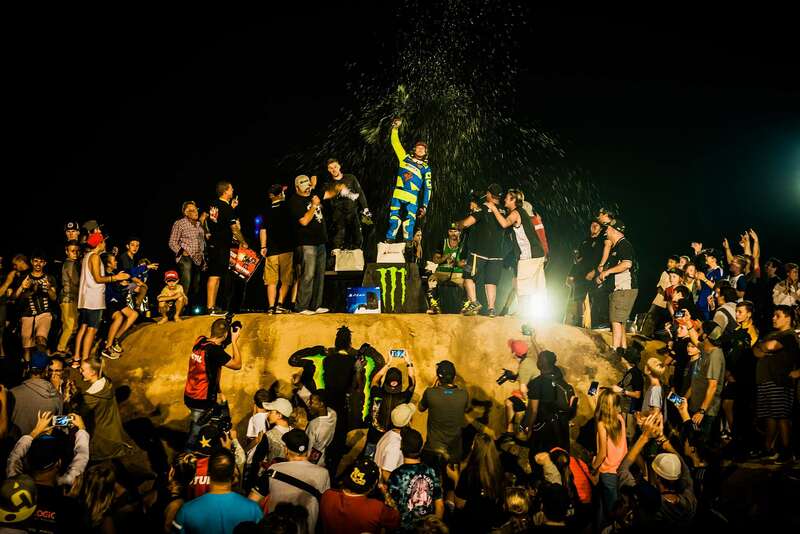 A new King has been crowned. 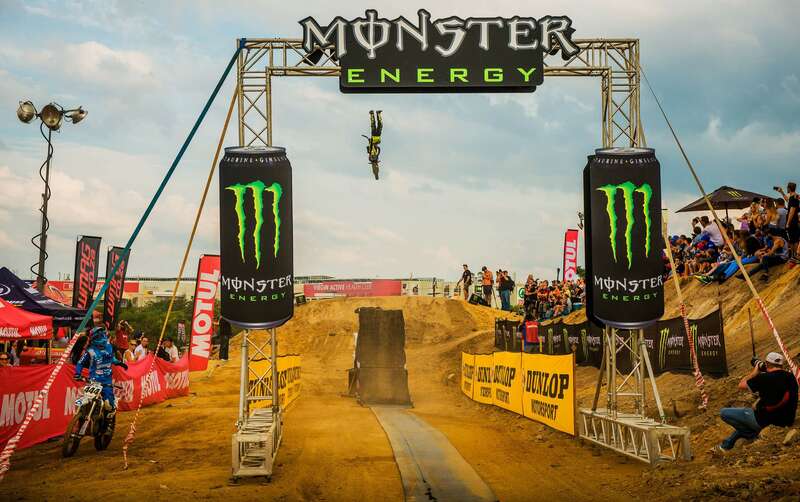 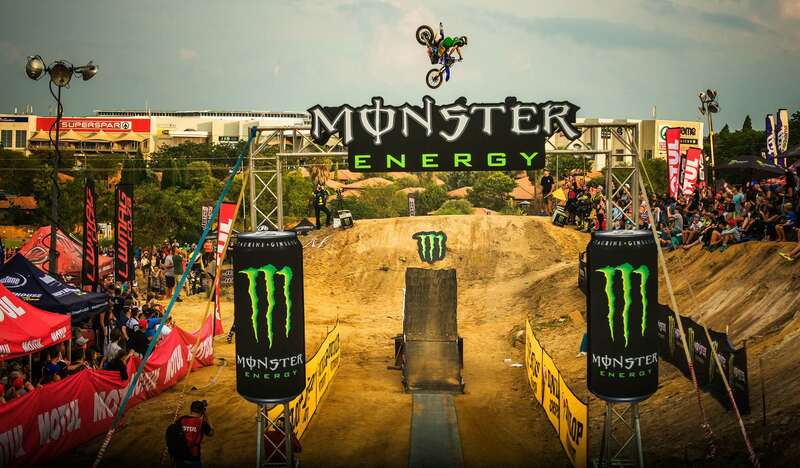 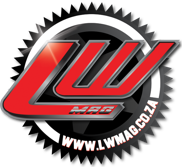 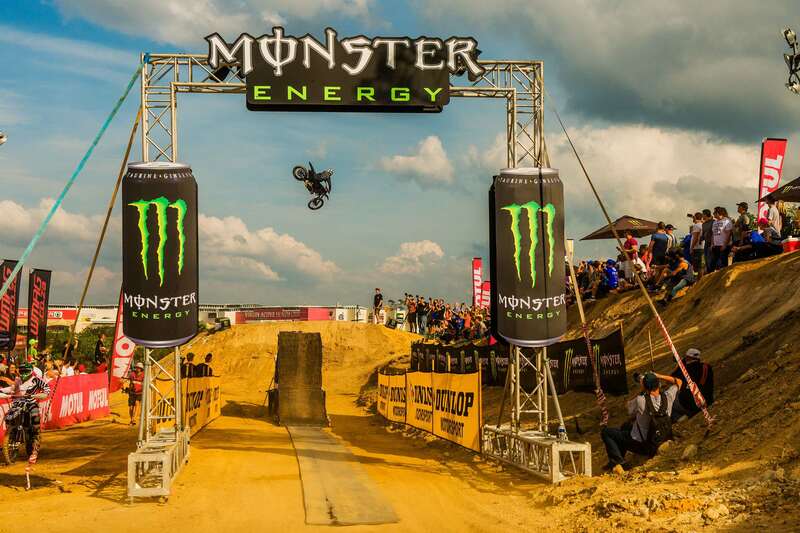 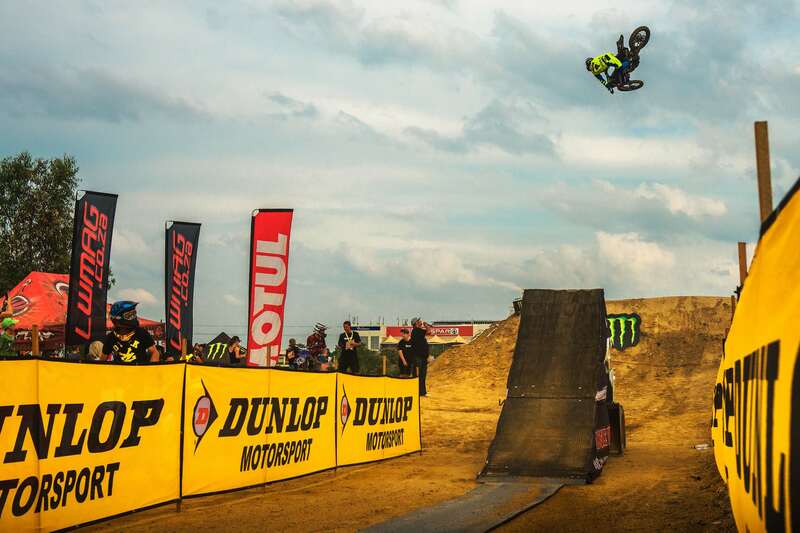 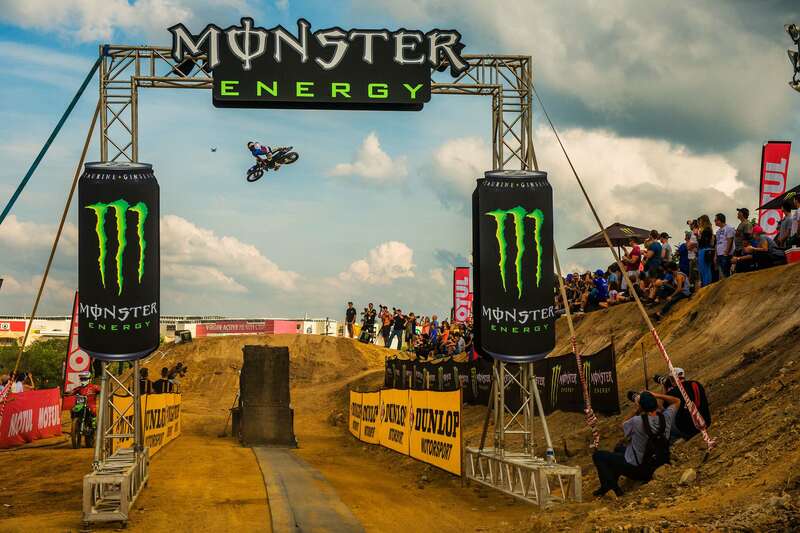 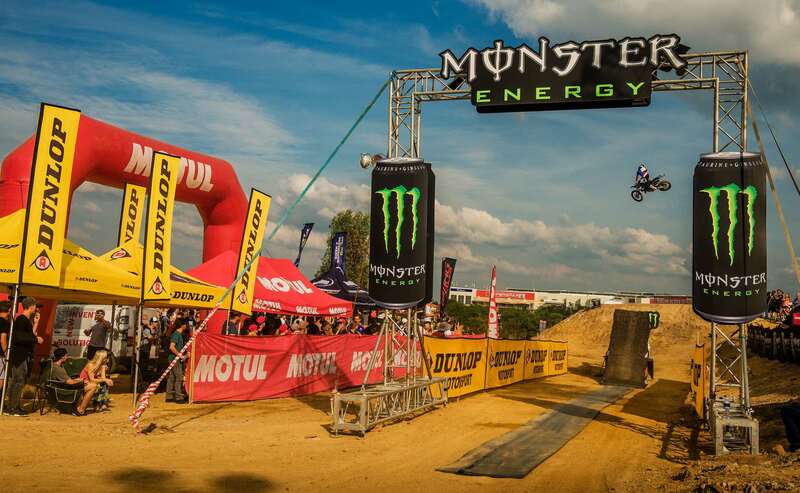 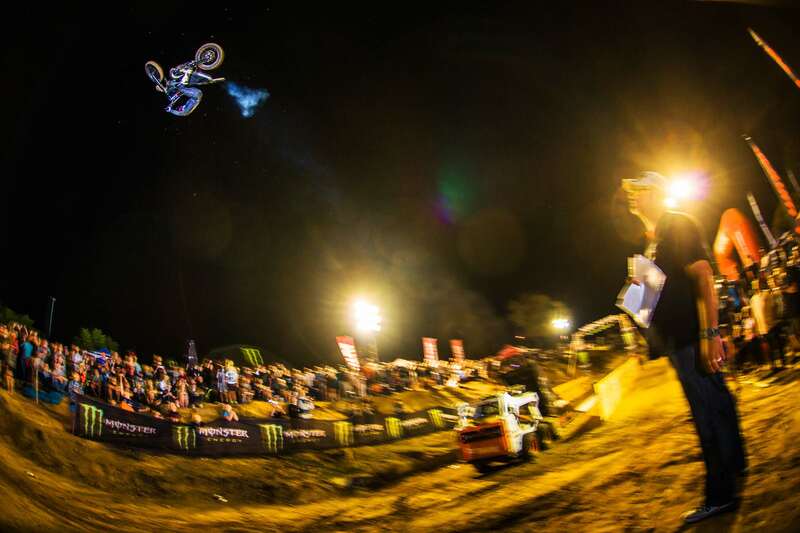 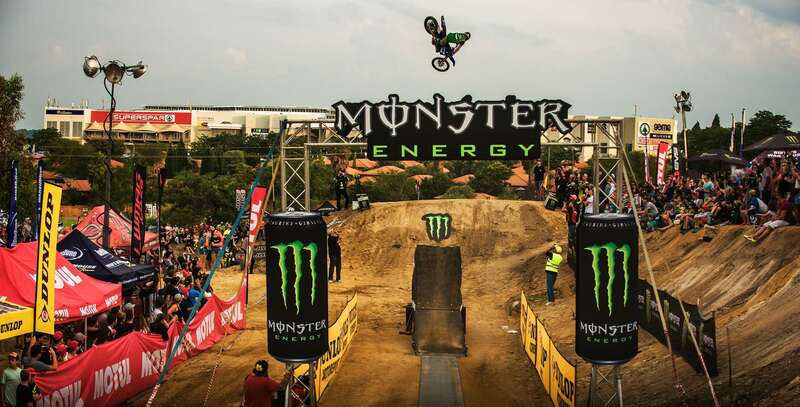 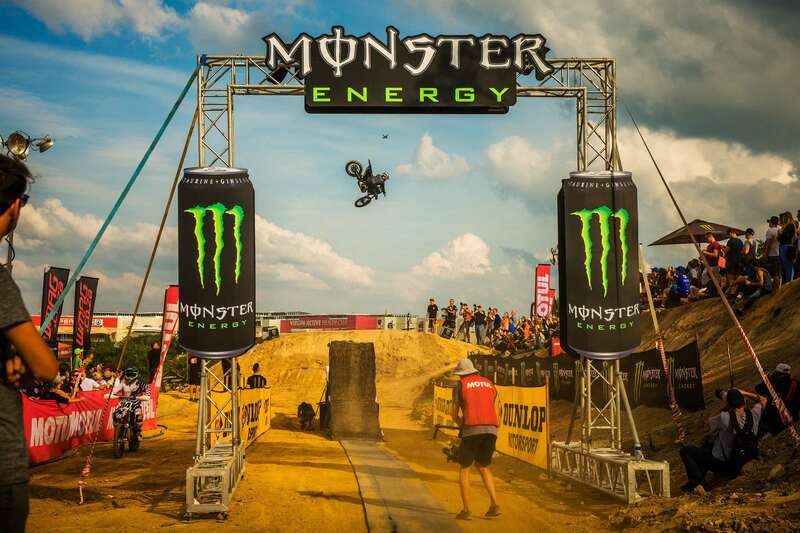 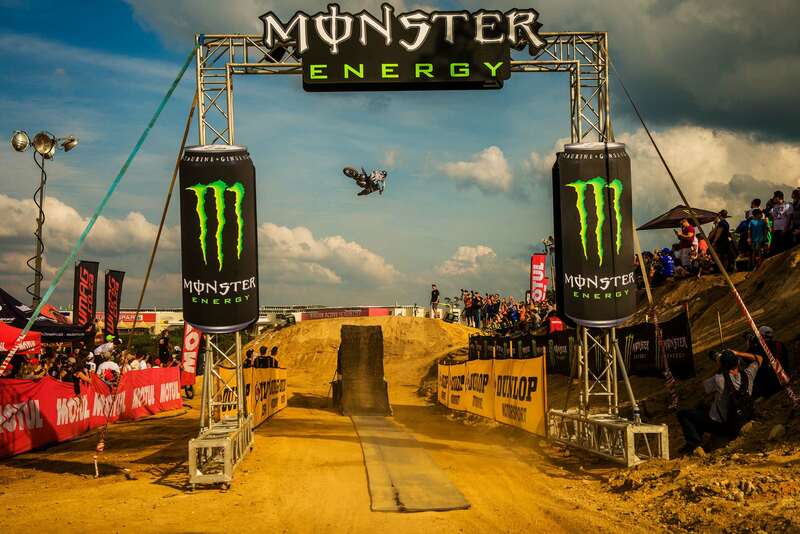 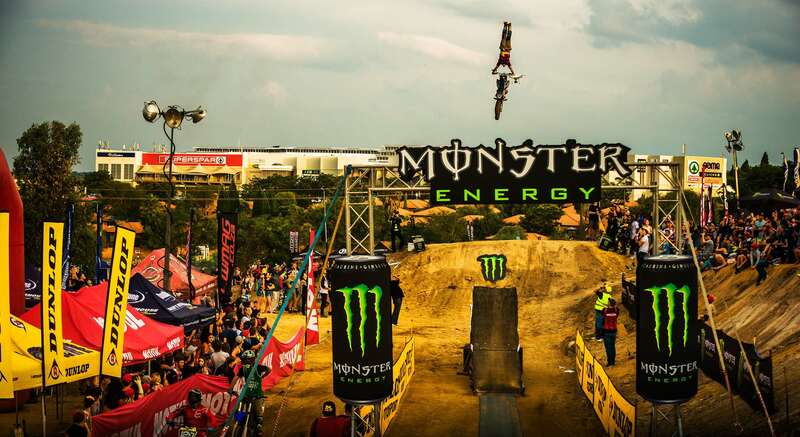 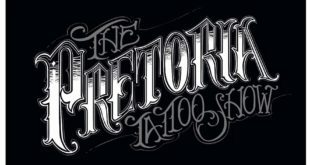 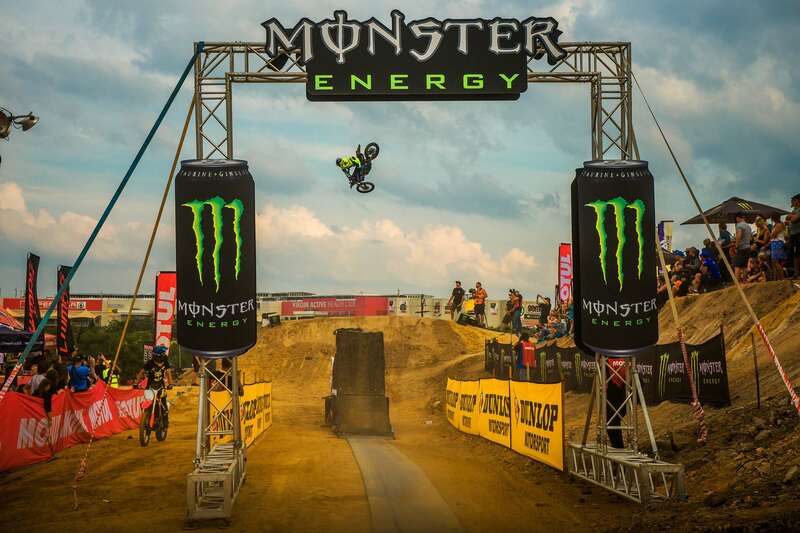 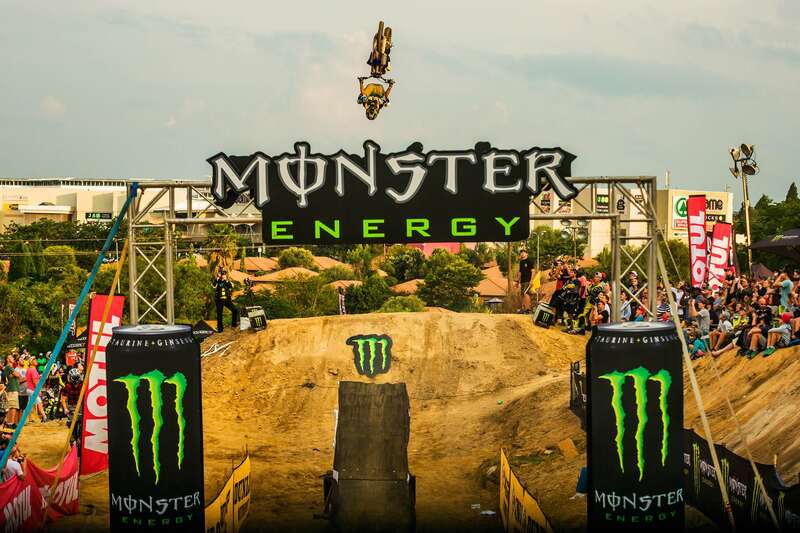 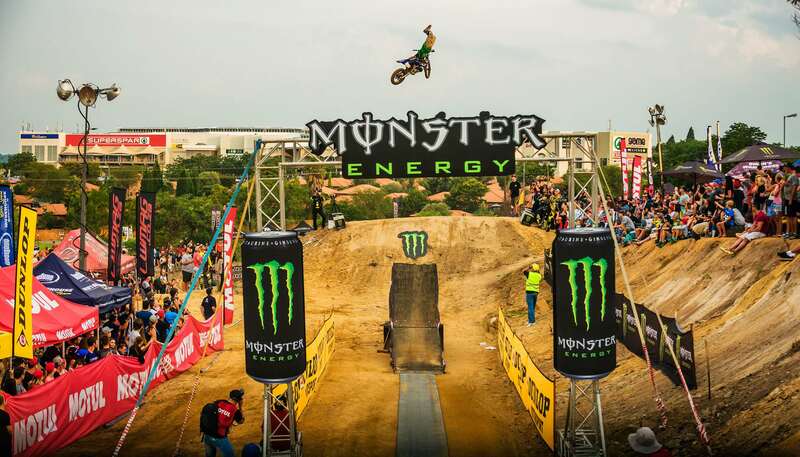 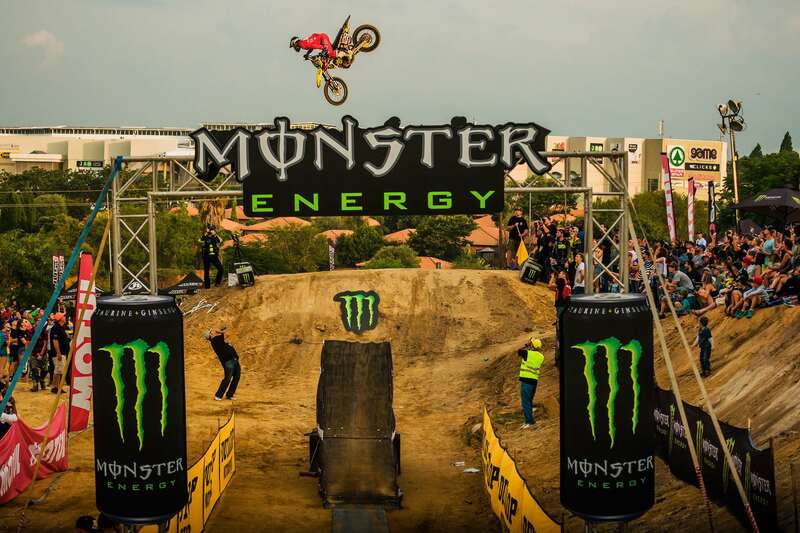 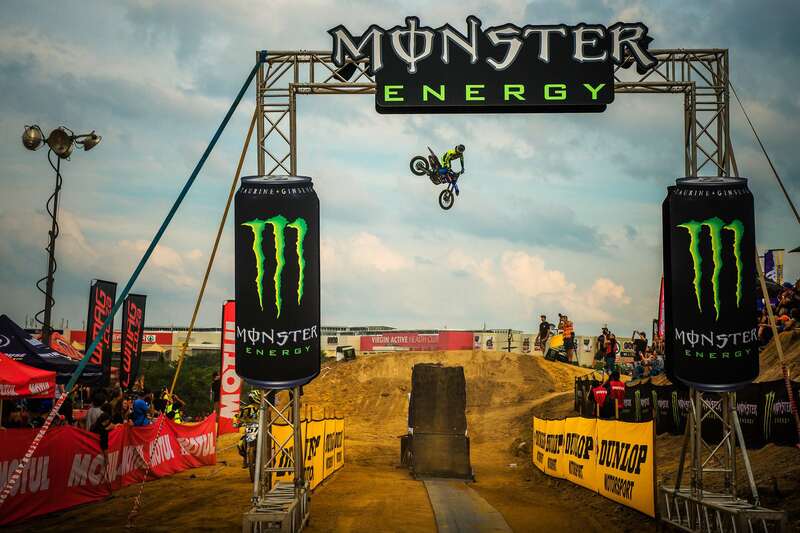 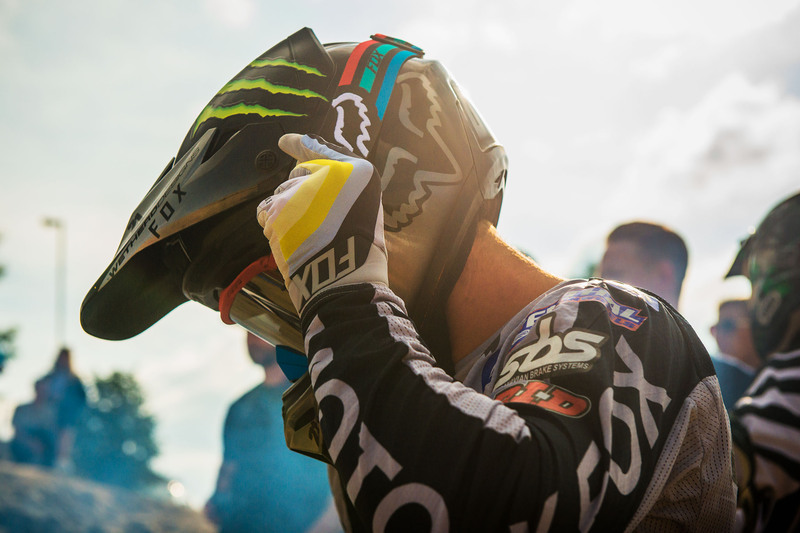 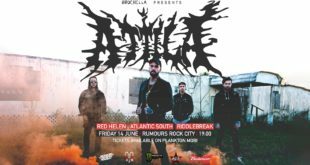 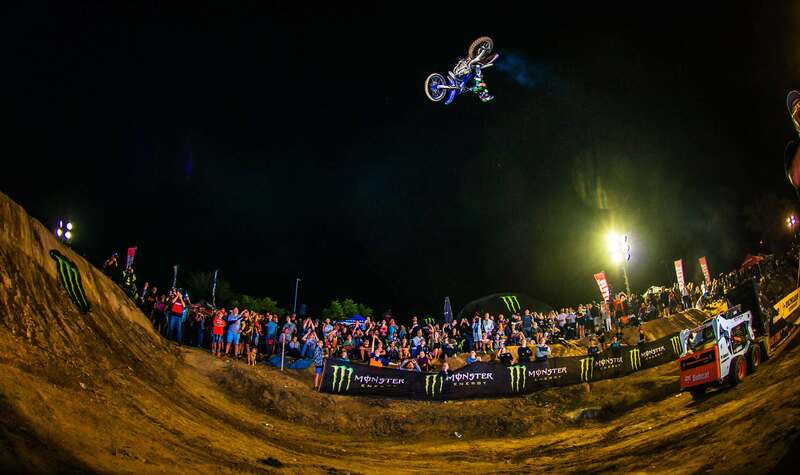 On Saturday the 24th of February, the King of the Whip Best Whip competition presented by LW Mag and Monster Energy in association with PlayStation, Motul, Dunlop Tyres, EVS and Just1 took place at Biker’s Warehouse in Northriding, Johannesburg. 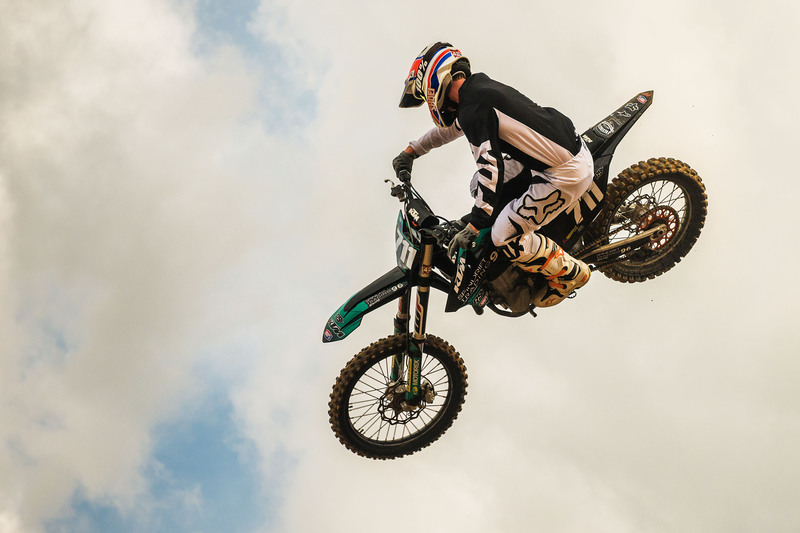 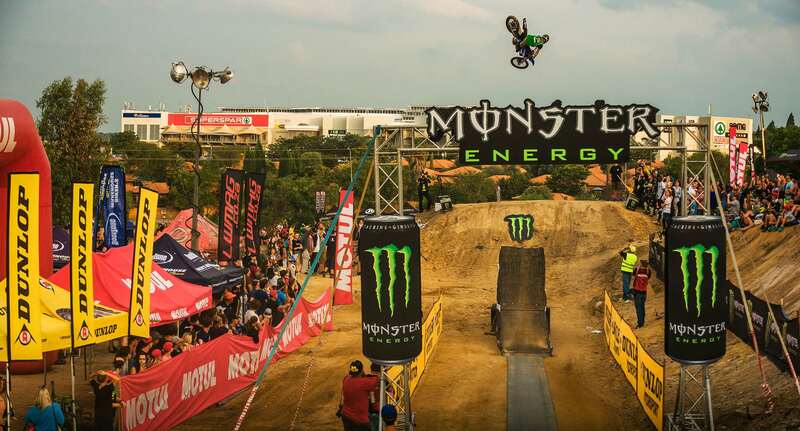 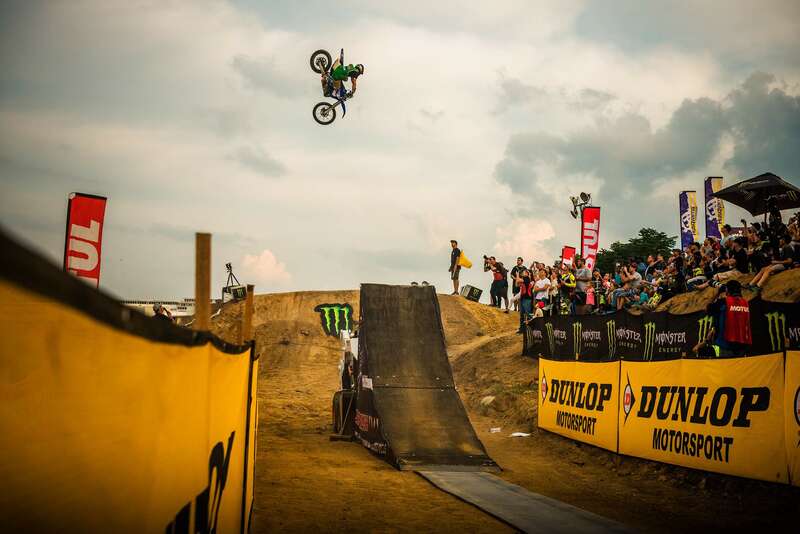 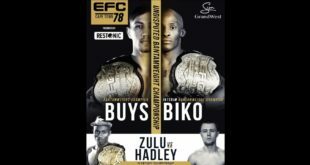 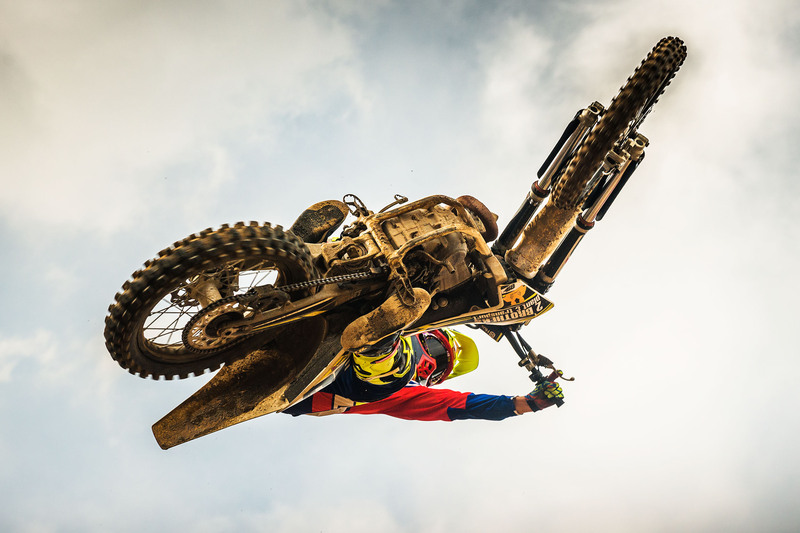 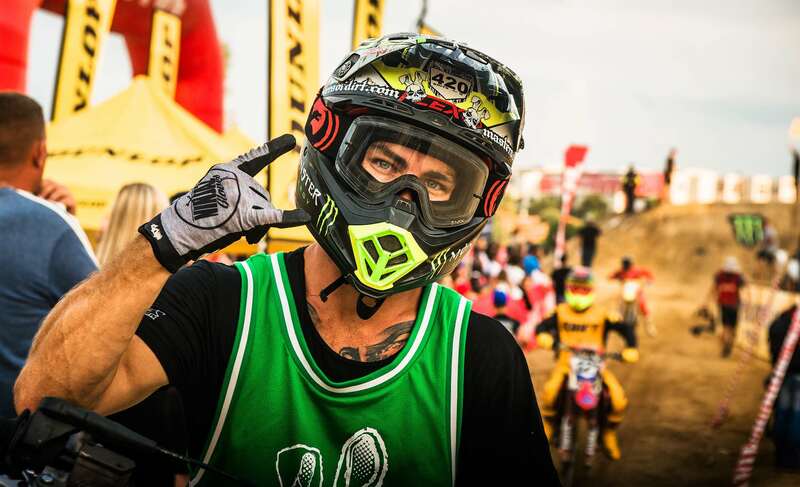 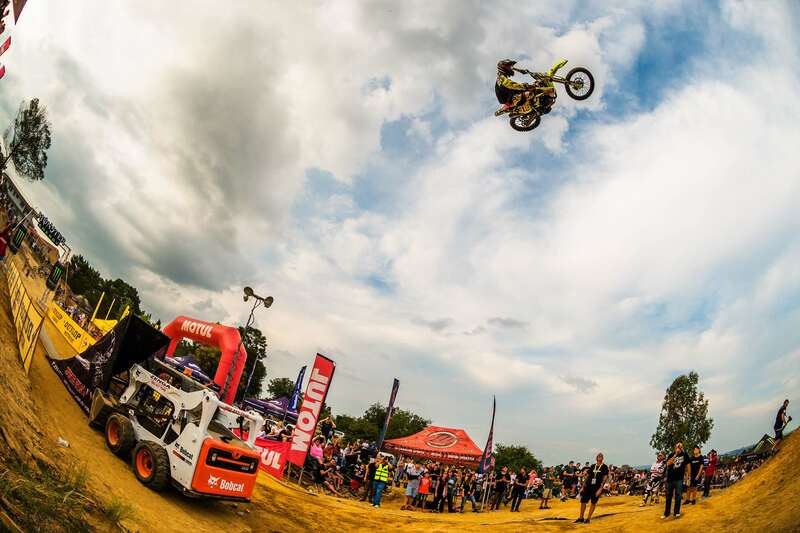 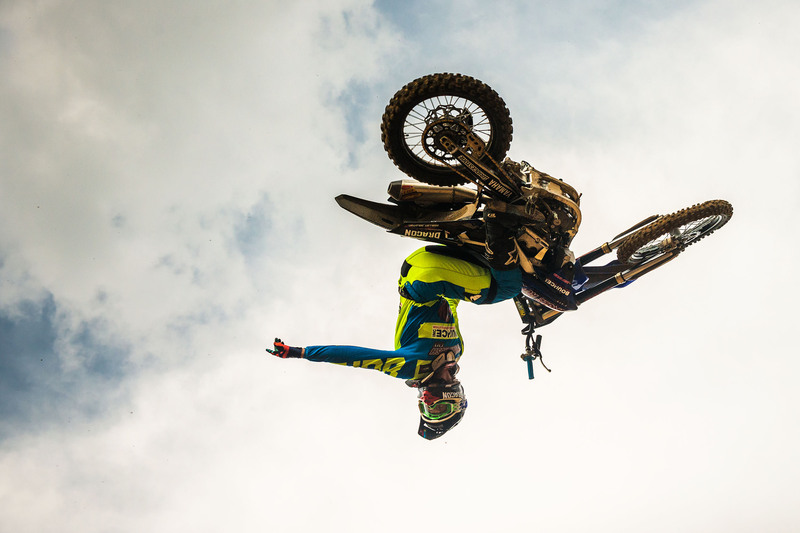 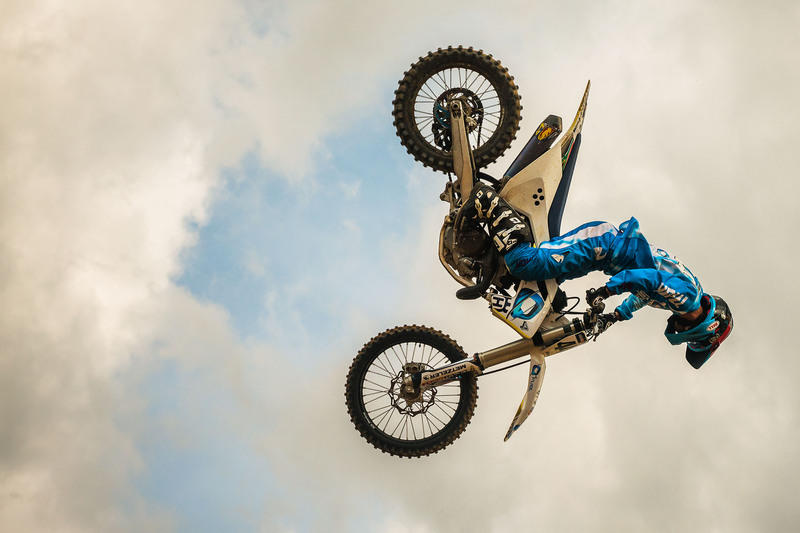 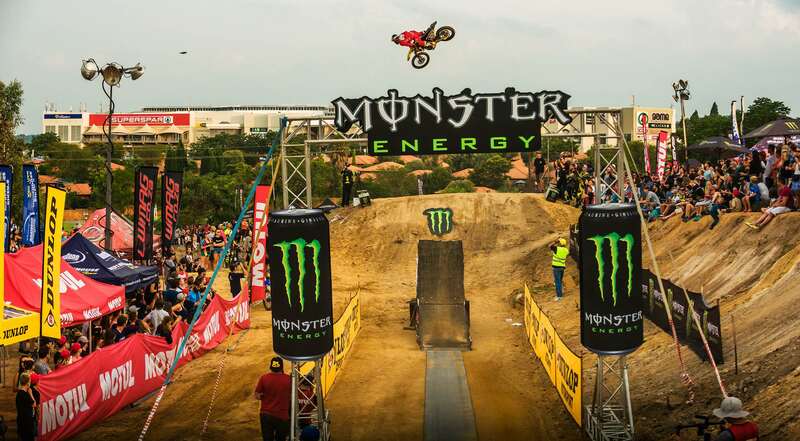 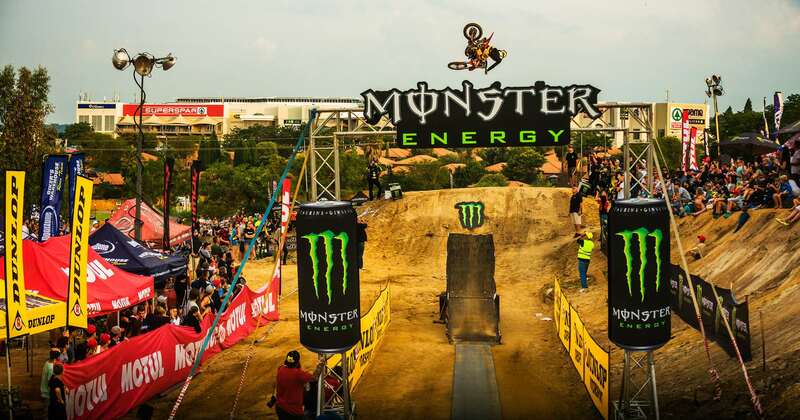 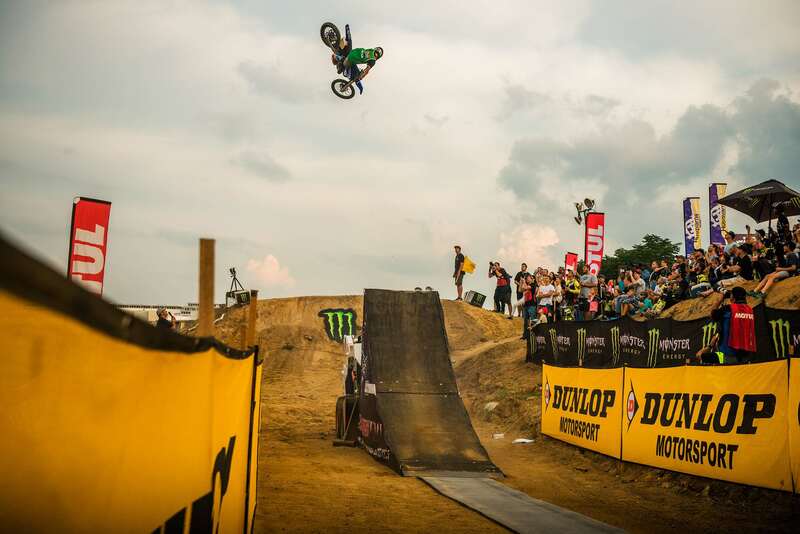 With a display of big and stylish whips it was Freestyle Motocross rider Dallan Goldman who claimed the title in front of thousands of screaming fans. 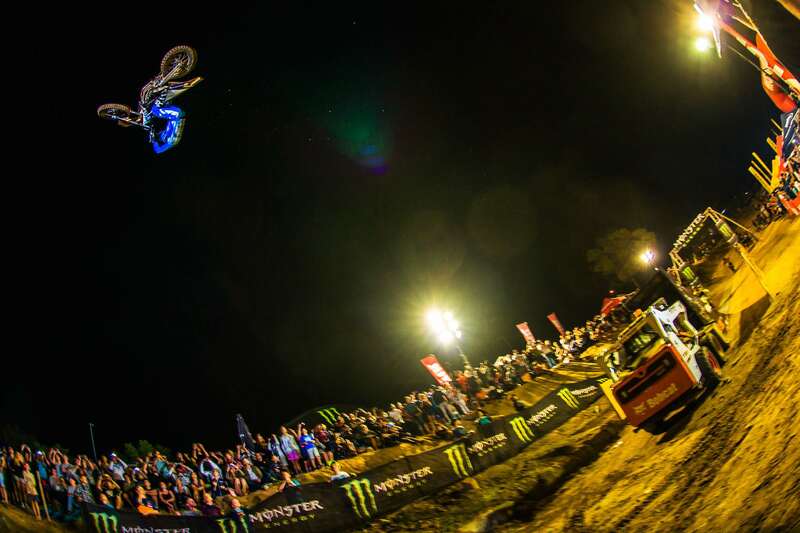 The country’s top Motocross and Freestyle Motocross riders gathered to compete head-to-head for the 2018 King of the Whip title. 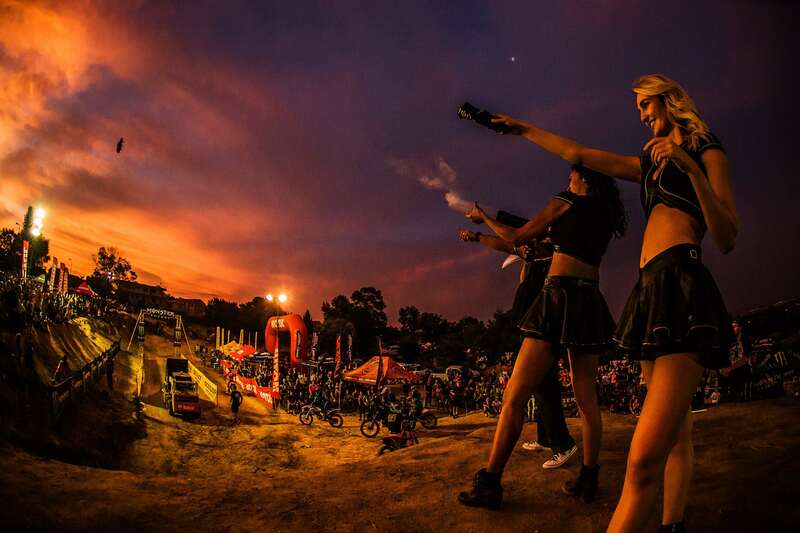 A rider introduction train kicked off proceedings and gave the crowd a small taste of what was about to be witnessed before heading into the qualifying rounds. 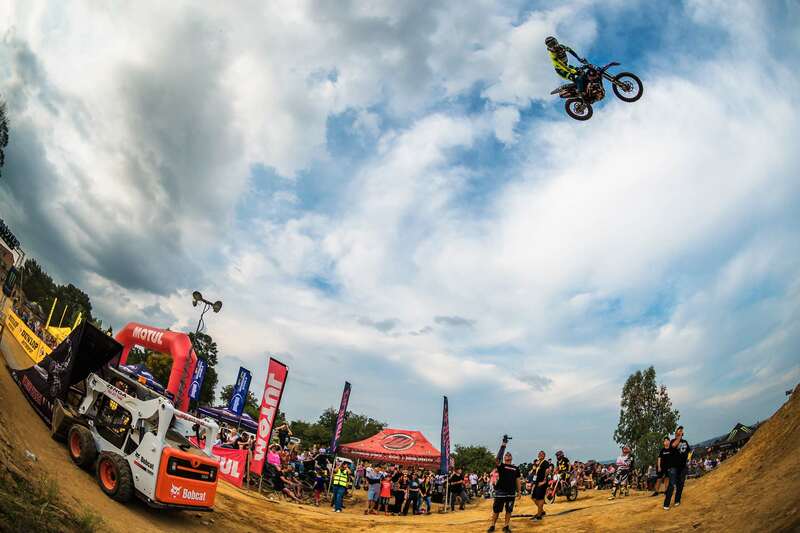 The huge 20-metre long by 8-metre wide landing gave riders the opportunity to push their limits resulting in an exciting and closely fought whip contest. 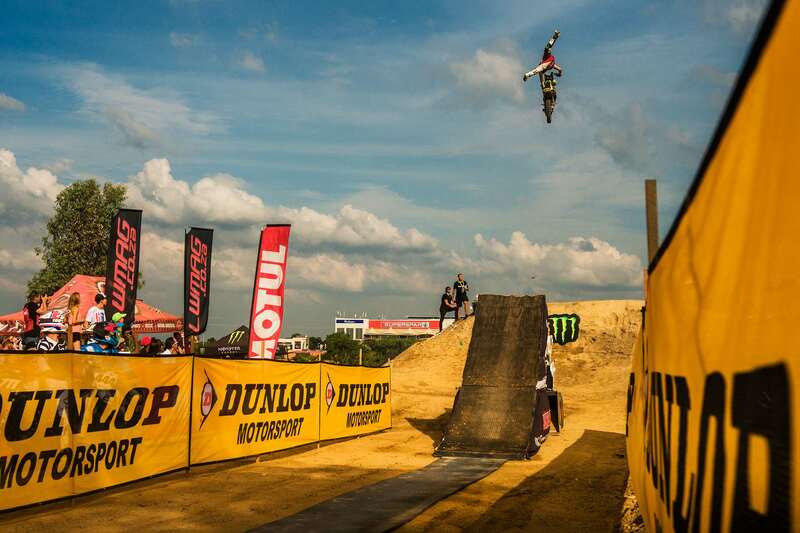 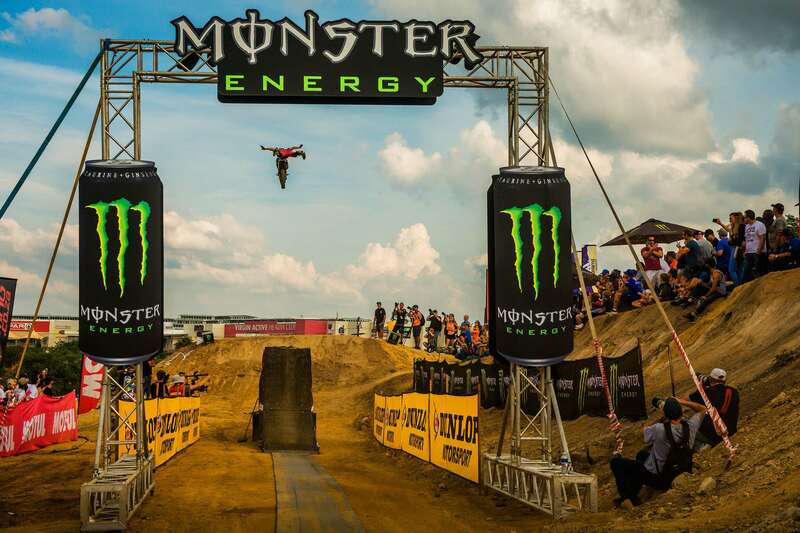 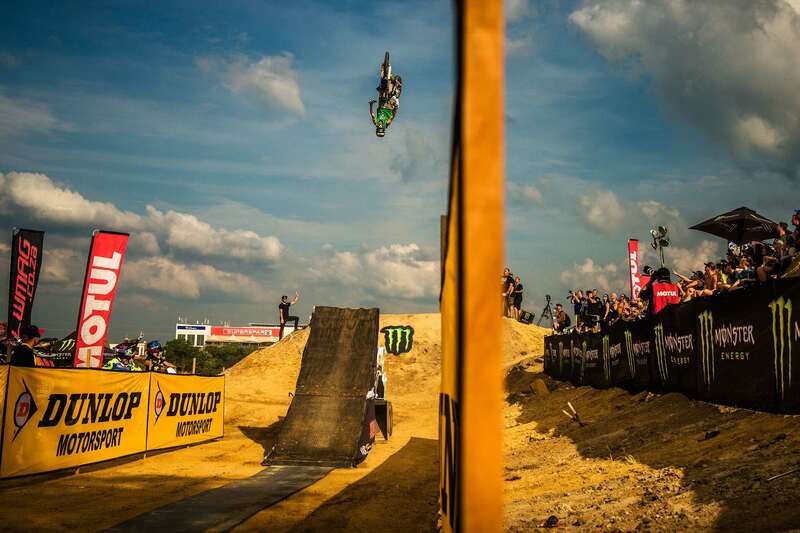 Through the four qualifying rounds, riders had the opportunity to showcase their whip skills for the judges and fans. 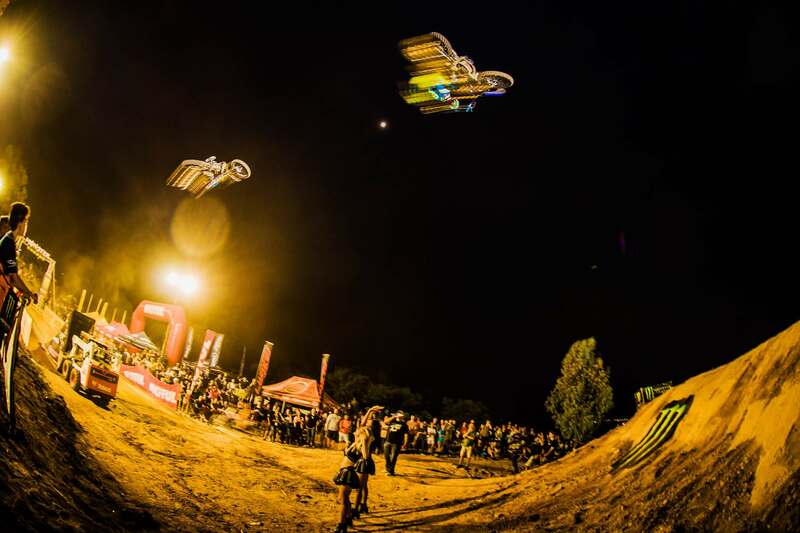 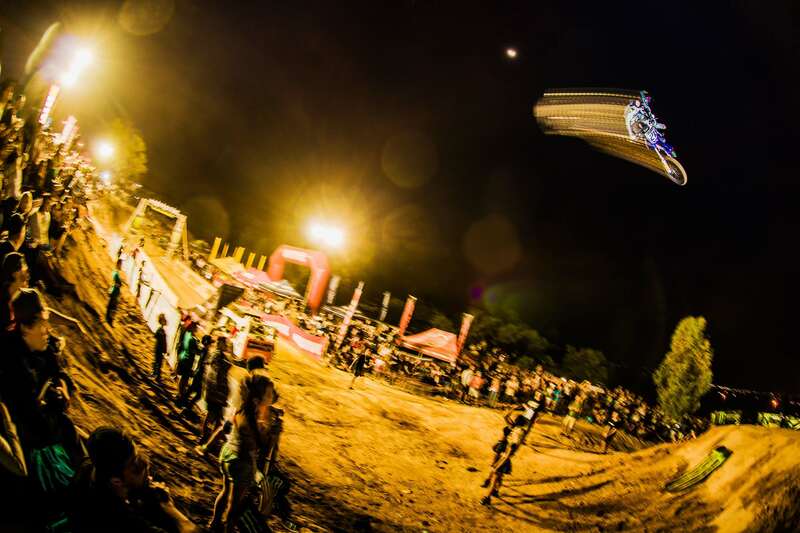 The judges, three two-wheeled motorsport legends – Brendan Potter (FMX), Richie van der Westhuizen (MX) and Brent Le Riche (Trails), took on the hard task of eliminating riders into a 13 man semi-final. 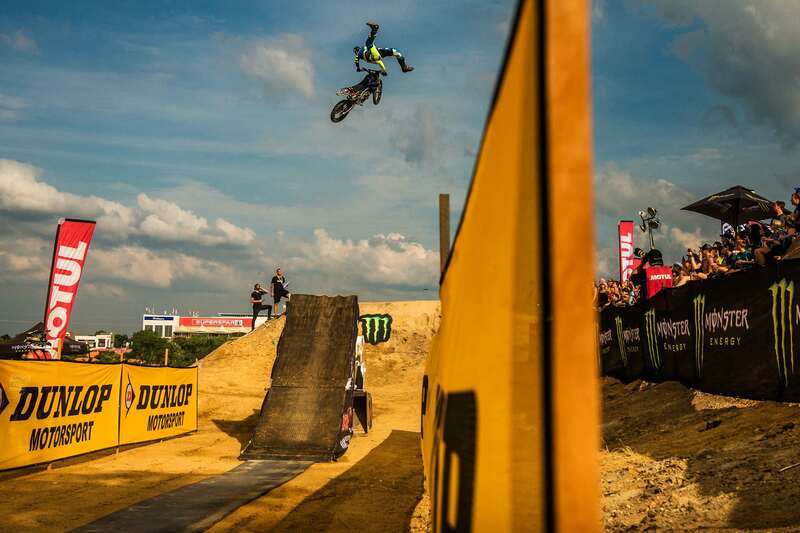 Riders were judged on style, amplitude and variation. 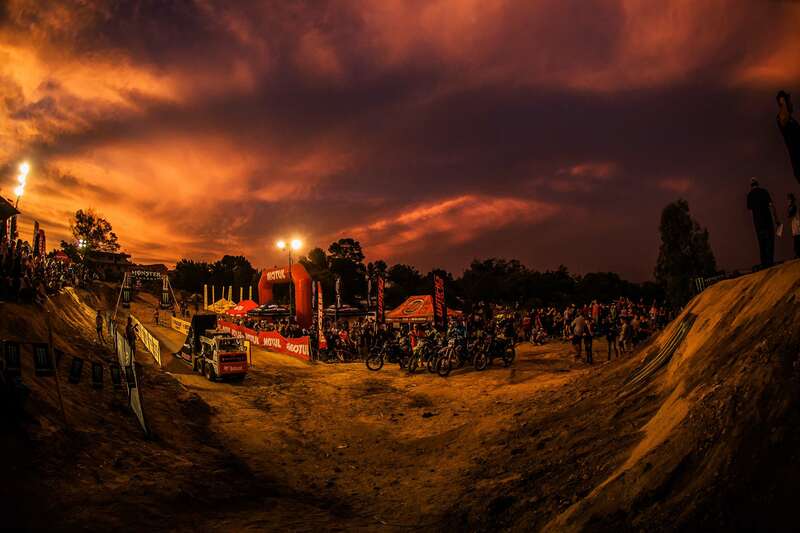 As the sun set and the lights came out, the semi-finalists took to the course. 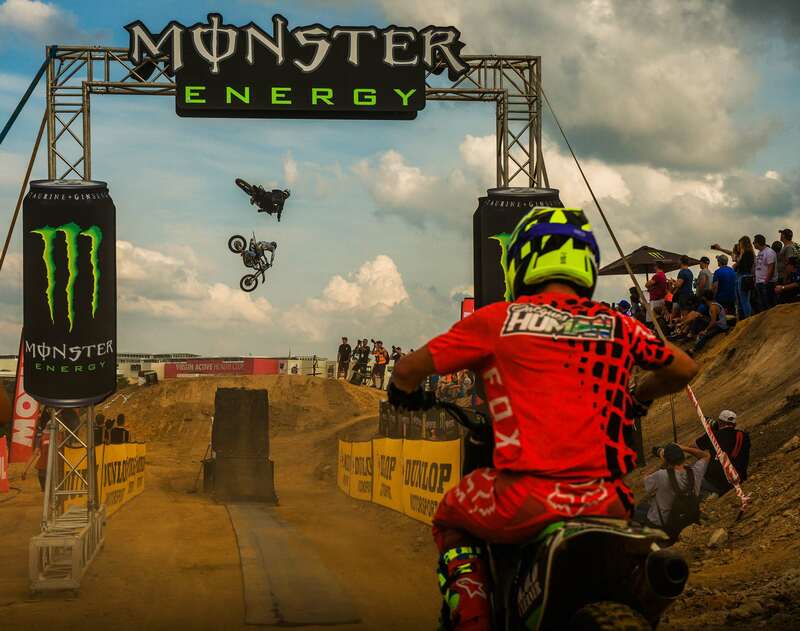 The last chance to huck their best whips possible before being eliminated into the six-rider final. 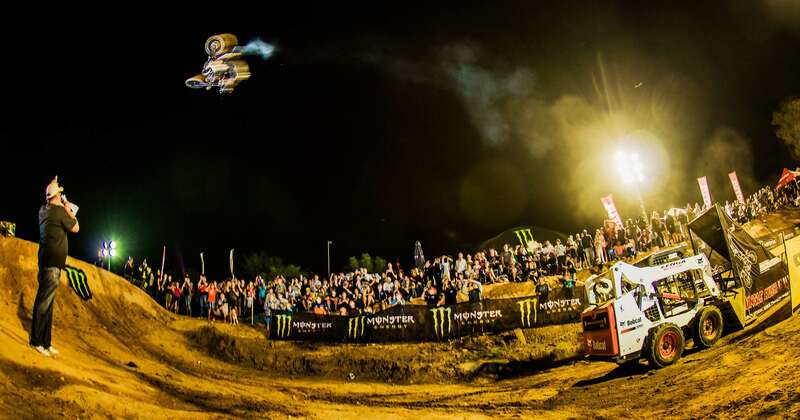 An insane display of the biggest whips, a host of styles and variations resulted in 15 minutes of adrenaline-fuelled mayhem. 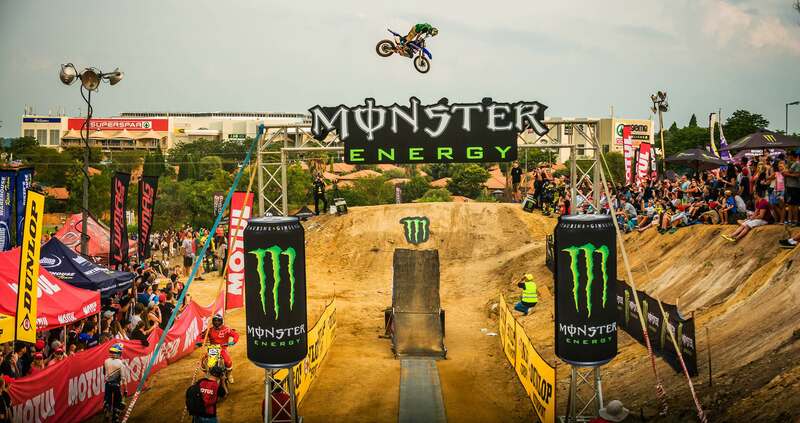 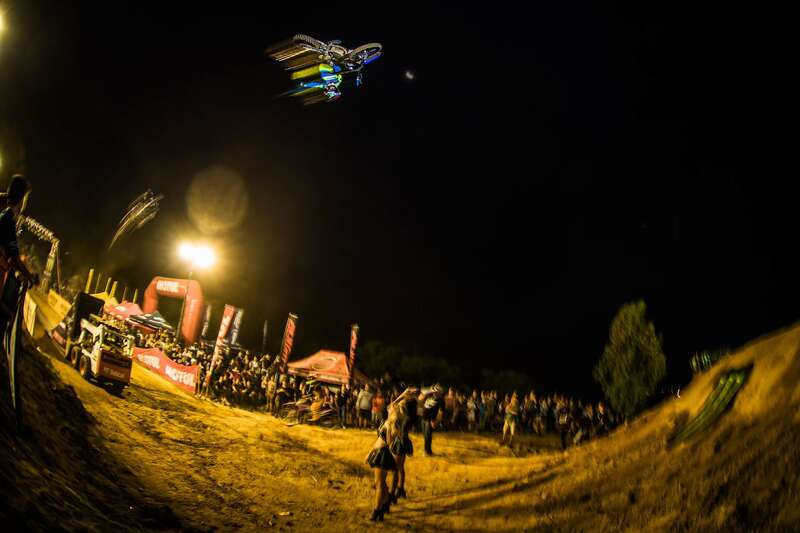 Alastair Sayer (FMX), Caleb Tennant (MX), Camz Odendaal (MX), Dallan Goldman (FMX), Grant Frerichs (MX) and Neels van Niekerk (MX) impressed the judges to secure their slot in the final. 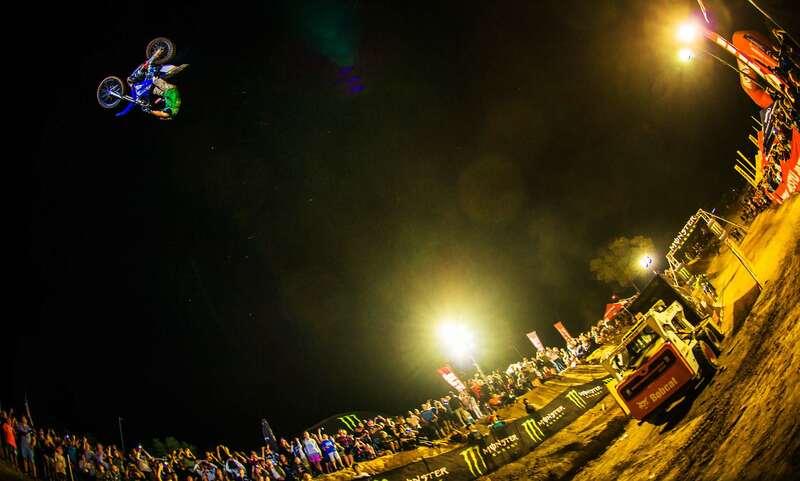 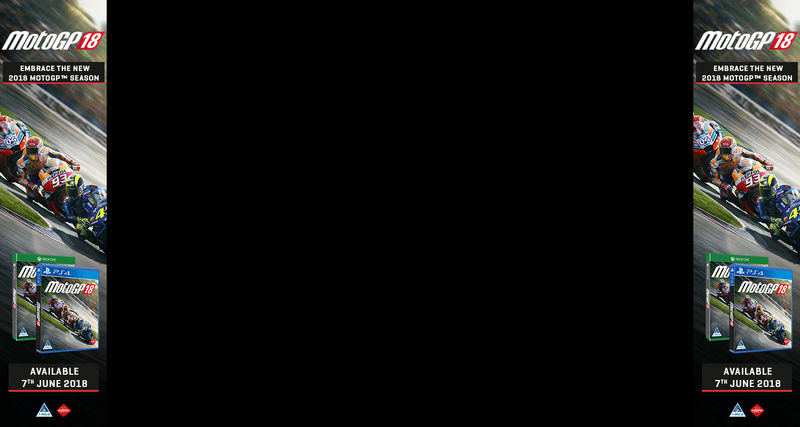 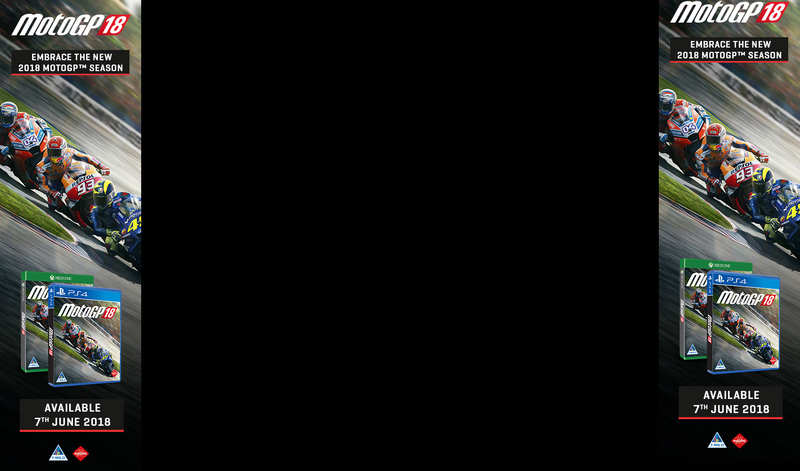 Each rider was given five jumps to claim the title. 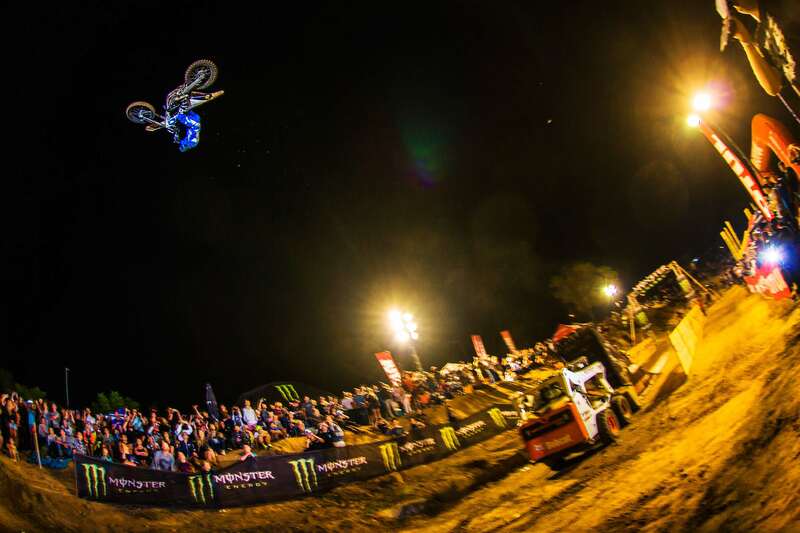 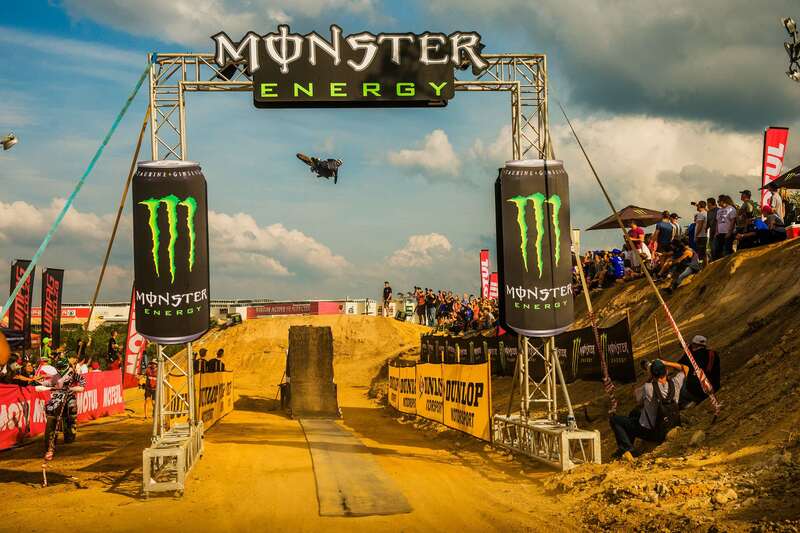 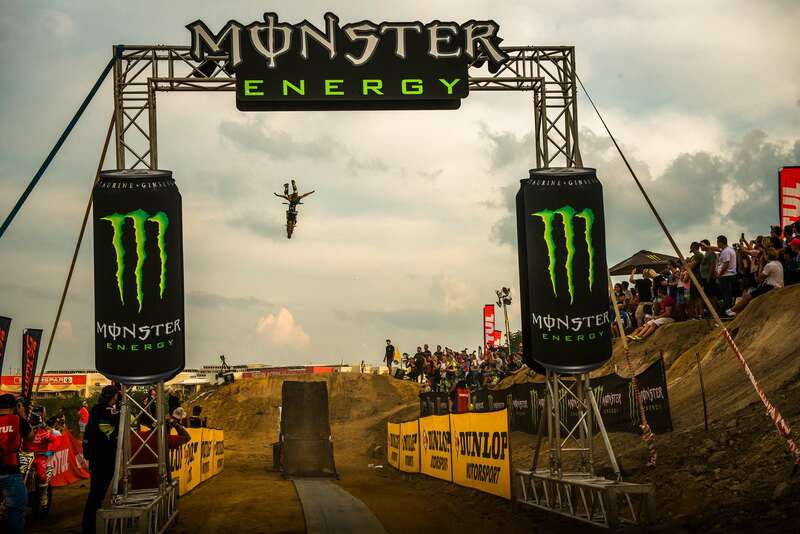 Each rider with their own style and variation of whips made for an extremely close and exciting final. 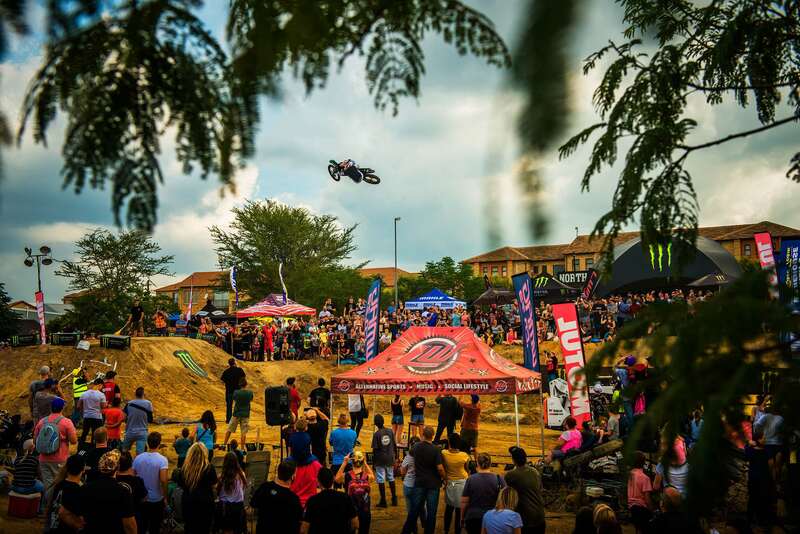 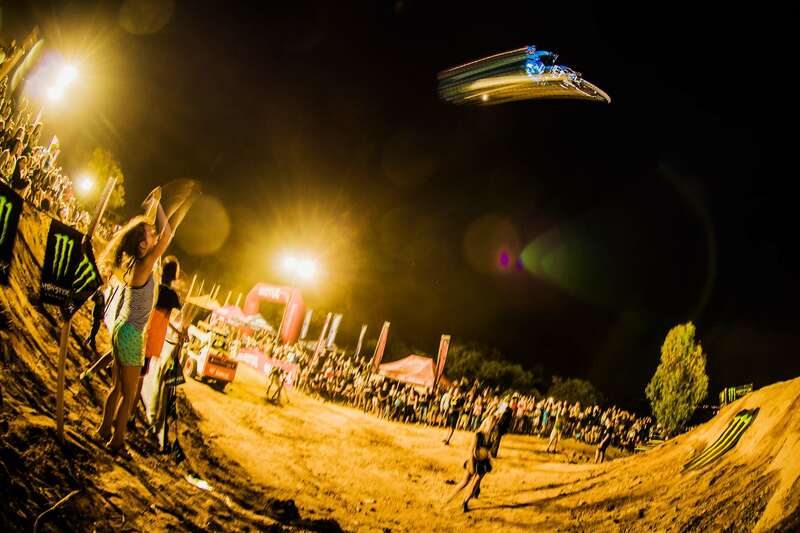 Dallan Goldman upped his game in the final putting it all on the line to clinch the crown and title of ‘King of the Whip’ 2018, and claimed the R20 000 cash prize. 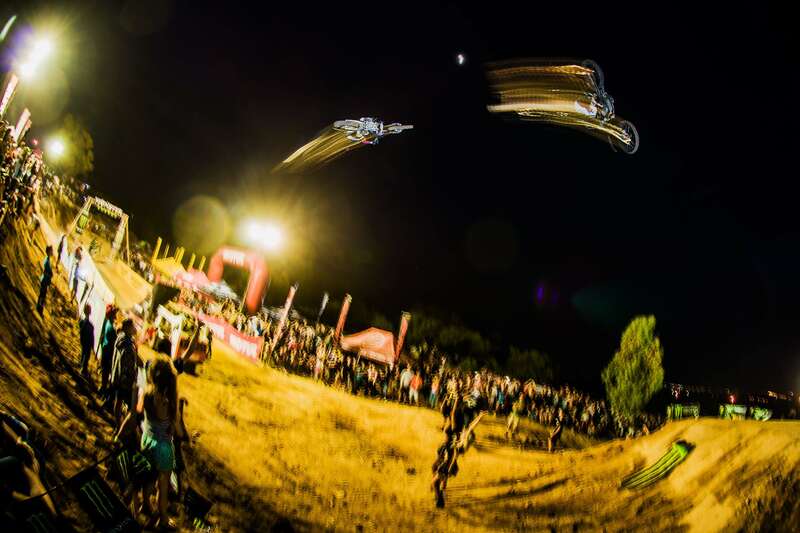 Event first timer Grant Frerichs followed in 2nd with 2017 King of the Whip Alastair Sayer finishing in 3rd. 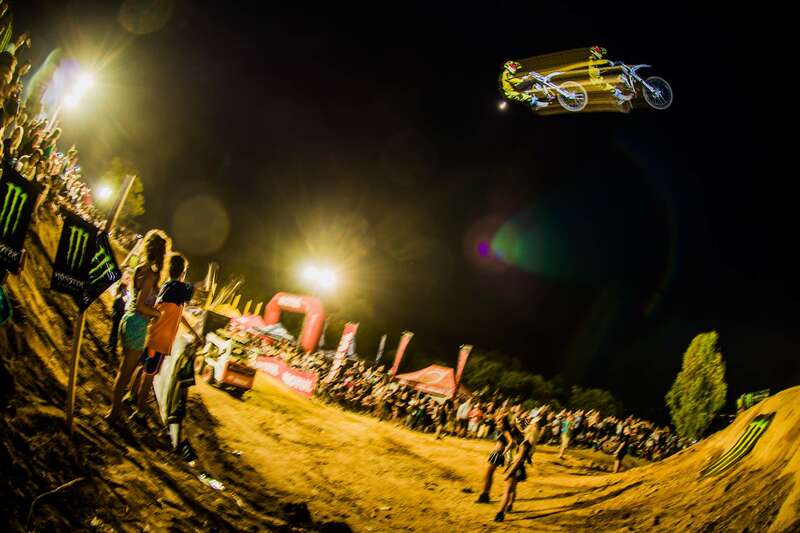 King of the Whip organiser, Ryan van der Spuy said, “The time and effort that went into making this event possible was worth ever second. 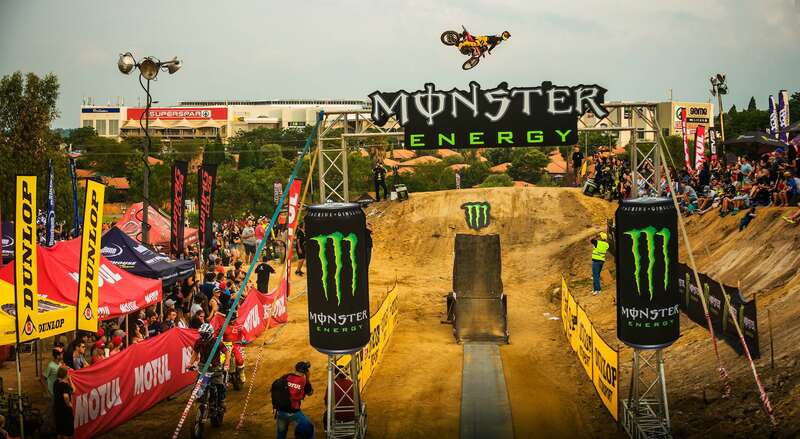 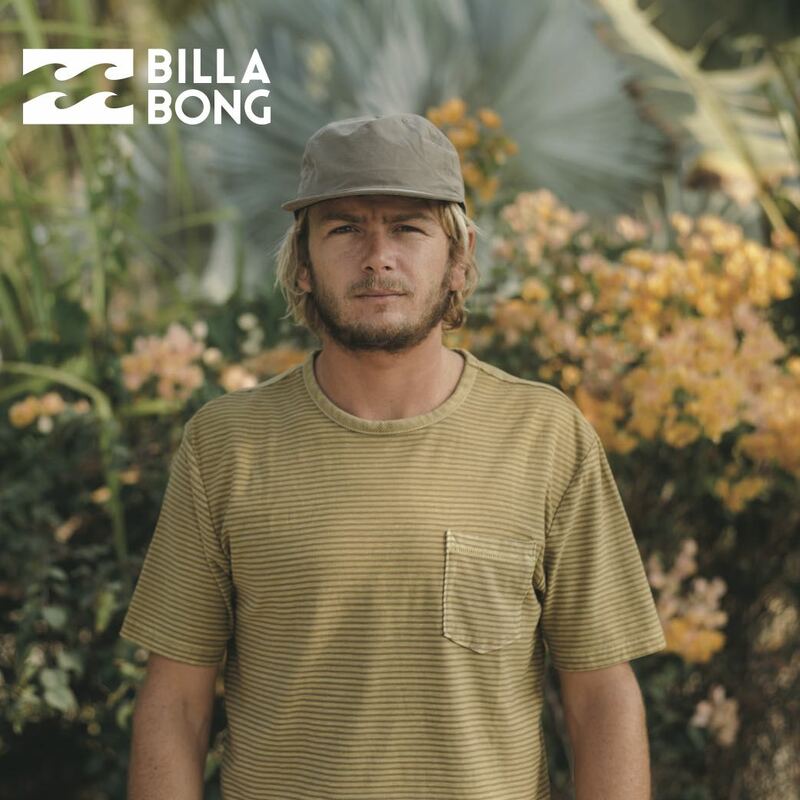 ‘Bigger and better’ is an understatement as all expectations were exceeded. 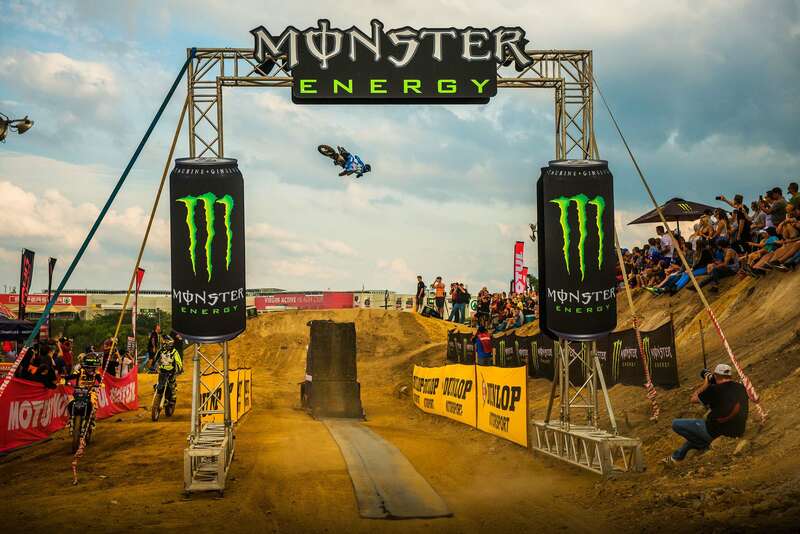 To the sponsors, everyone involved and the fans – Thank you! 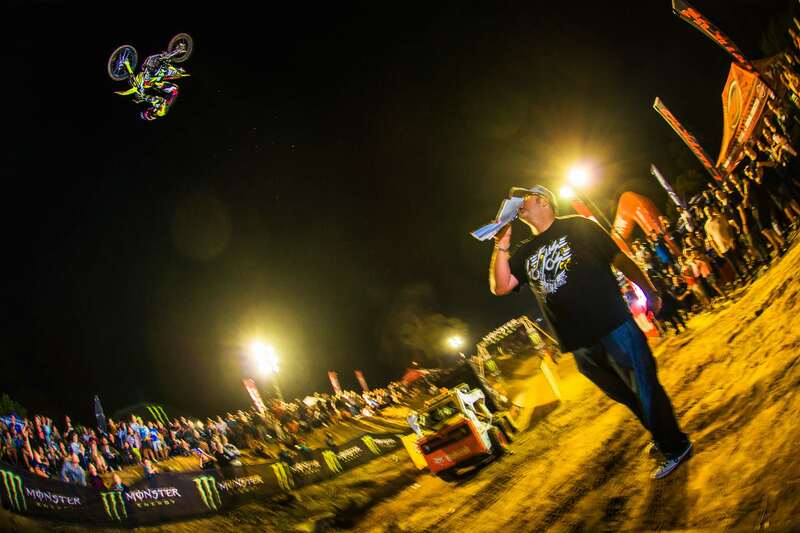 It was a privilege to watch the riders put on such a great show – this event is for them”.